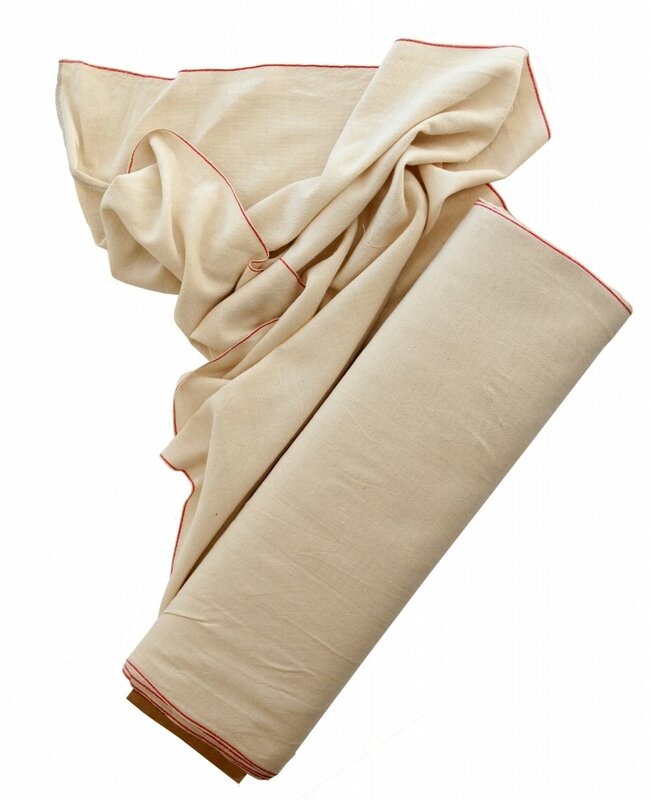 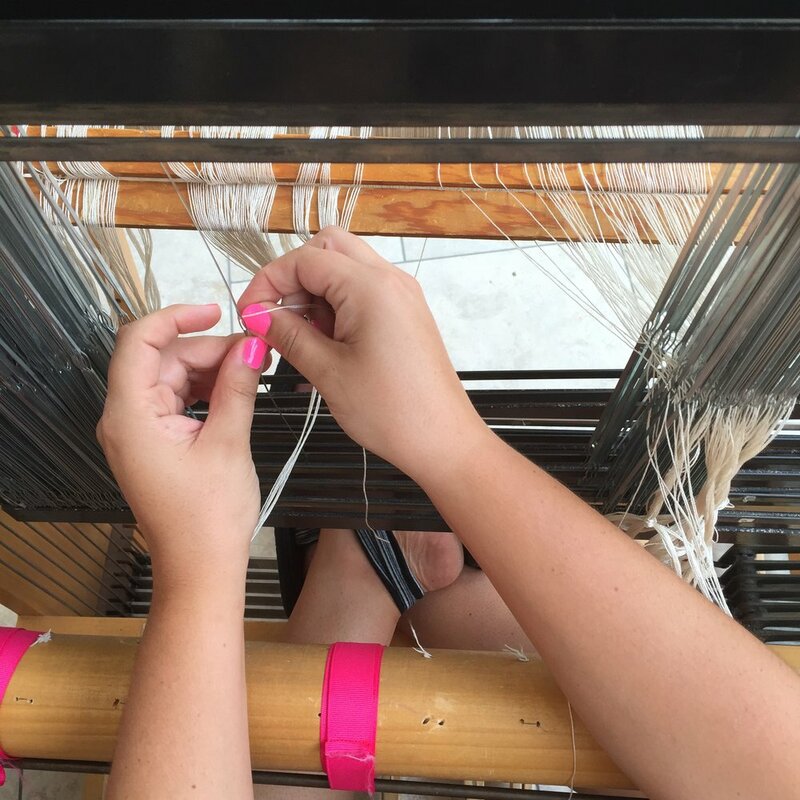 How many yards of cotton cloth can be woven on a floor loom? 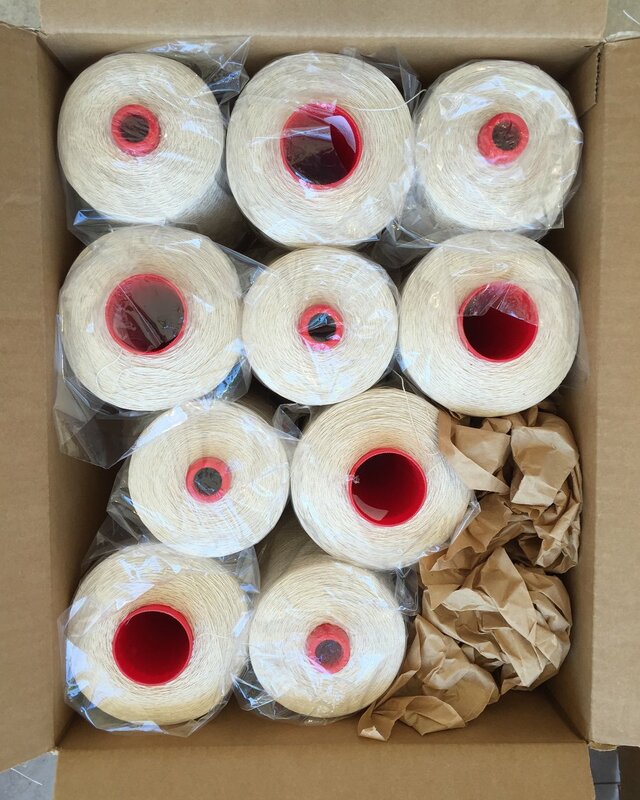 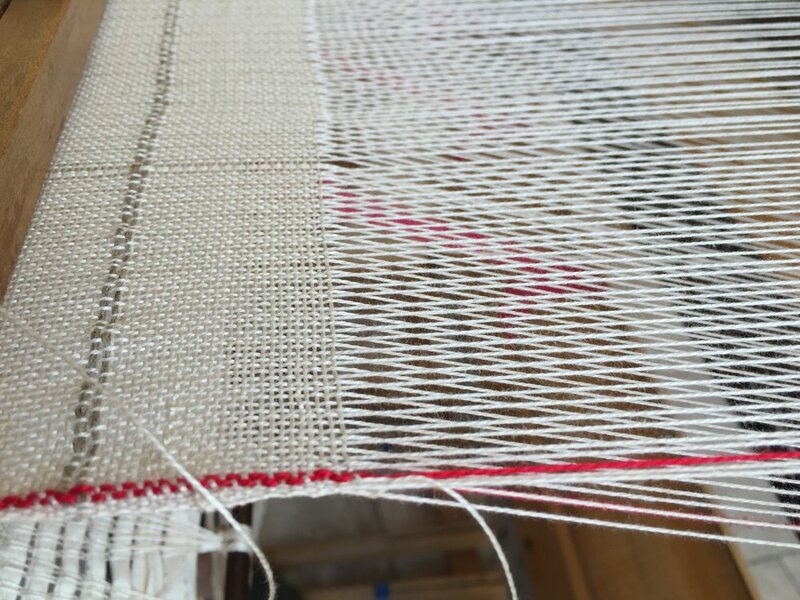 In 2016 we warped a loom with 40 yards of 10/2 natural cotton. 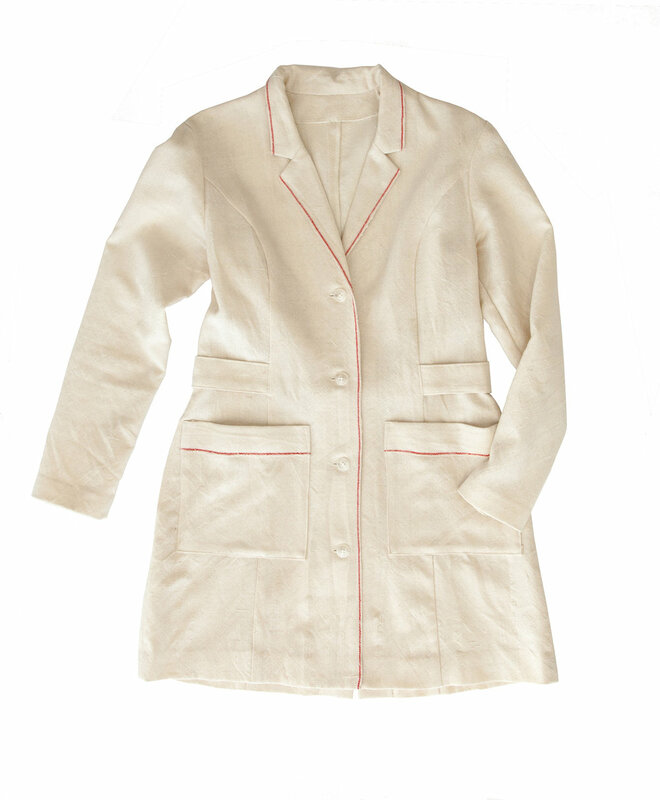 The yardage was then transformed into Weaving Lab Coats by local seamstress Ayumi King. 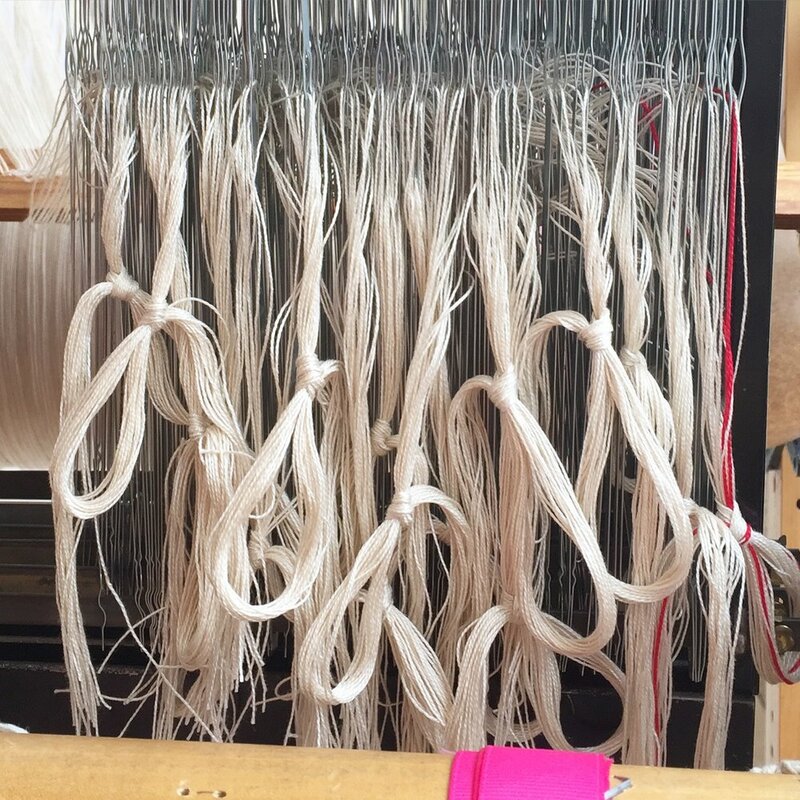 In 2017 we sourced wool yarn from Blackberry Ridge Woolen Mill in Mount Horeb to weave as many yards as we can get on a loom to make a handwoven, locally sourced and locally produced cloth.